Missouri Wrestling Revival is excited to announce that world wide superstar Davey Richards is now a part of the MWR Trading Card series. Richards opponents can tell you first hand he is able to use his speed, wrestling ability and knowledge to go along with an explosive attack that can take the heart out of lesser men in the ring. 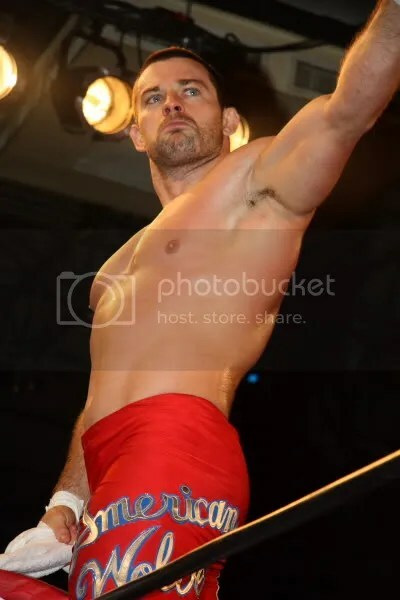 Trained early on by the talented Tony Kozina, Richards combines wrestling with Muay Thai and Brazilian Jiu-Jitsu to provide fans with an offense that often leaves them breathless. 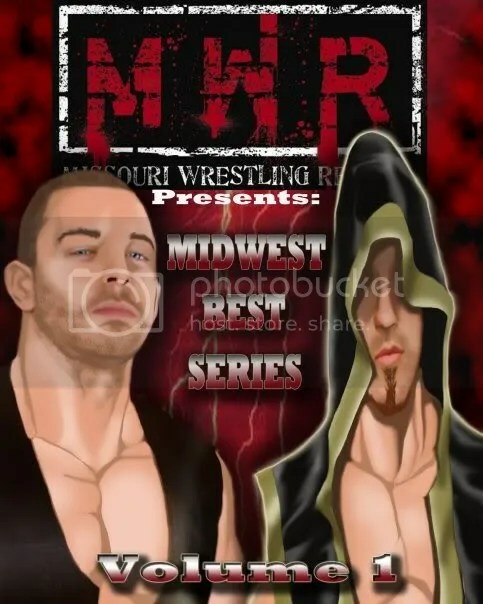 Richards is no stranger to MWR as he headlined for the first ever Missouri Wrestling Revival Best of the Midwest DVD in his match with 2008 MWR Wrestler of the Year “The Rebel” Jeremy Wyatt. 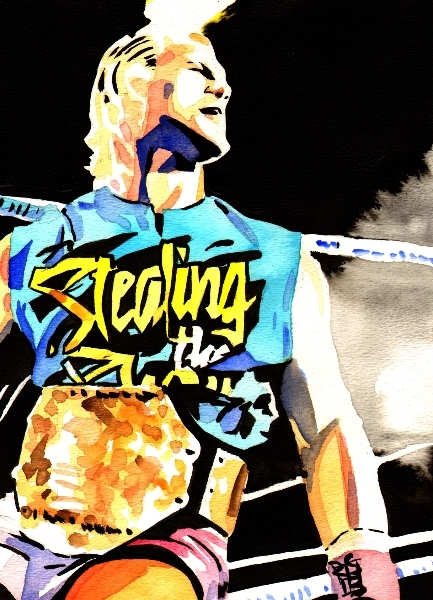 The Best of the Midwest matches showcased the great talent in the area at several promotions. Davey forms one of wrestling’s most respect tag teams with Eddie Edwards to form The American Wolves. On April 10th they defeated Kevin Steen and El Generico to become the Ring of Honor Tag team champions. Most recently Richards challenged Ring of Honor World Champion Tyler Black for the title on June 19 at Death Before Dishonor VIII Internet PPV. Black would be able to survive in a war worthy of MOTY, but like all great wrestlers even in defeat the match only added to the legend of Richards. #2 Mark Sterling– 2009 MWR Wrestler of the Year. #15 Brandon Aarons – Current Triple Crown Champion in the Midwest. Davey Richards returns to the Midwest this Friday in Collinsville Illinois in a rematch against Generation Me (the former Young Bucks). Straight from the Ring of Honor website lets take a look at this and ROH’S historic tour throughout the Midwest . ROH officials announced on June 1st (http://www.rohwrestling.com/news/bangforbucks/) that Generation Me (the former Young Bucks) were making their return to Ring of Honor competition on July 23rd and 24th in Collinsville, IL and Chicago Ridge, IL respectively. Last night, ROH officials finalized the first of Max and Jeremy Buck’s opponents; a team that GenMe wanted to face more than any other in Ring of Honor, the men that beat them in their last Ring of Honor appearance at “SoCal Showdown” (available on DVD ) – Davey Richards and Eddie Edwards – The American Wolves! It’s Generation Me vs. The American Wolves! Don’t miss the cutting edge of tag team wrestling as it comes to the St. Louis area! Tickets will be available to purchase at the door on the night of the show!!! A special autograph session with Generation Me and Amazing Kong will take place prior to the event starting at approximately 7:00 PM. Matches will be announced in upcoming weeks. No video or digital cameras are allowed in the building. For all your Ring of Honor news Click here. Do not forget to add Davey Richards official website by clicking here. Tickets are available at http://www.rohwrestling.com/store.php?sec=prod&prod=388, http://www.tickets.com, or by calling (215) 781-2500. No video or digital cameras are allowed in the building!! !